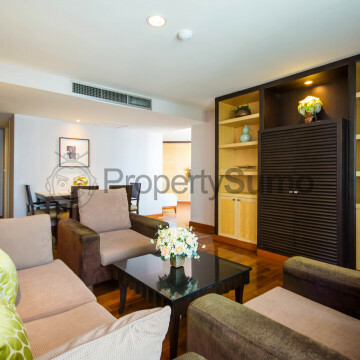 This trendy building boasts a strikingly modern style that is sure to impress apartment hunters. 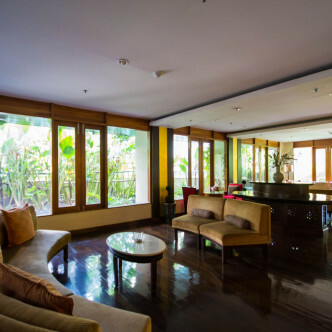 Each of the spacious fully furnished apartments at Gardengrove Suites has been created in a modern style with retro overtones that artistic home hunters are sure to love. 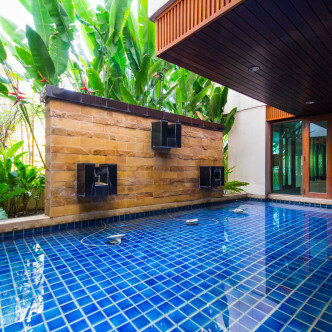 Gardengrove Suites offers residents an excellent range of facilities including a large swimming pool set in a stunning garden. 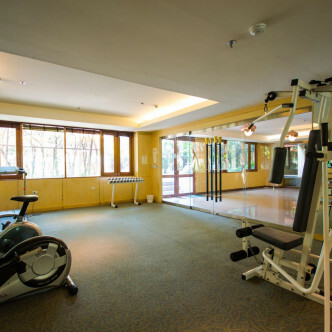 The onsite fitness centre comes fully loaded with the latest equipment, and this is a great place to work up a sweat during leisure time. 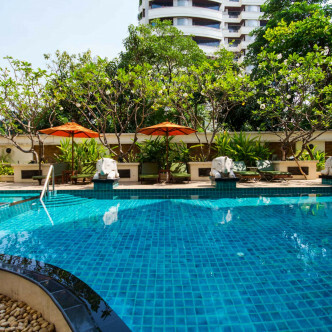 It is impossible to beat Gardengrove Suites in terms of location, as the Asok BTS station and MRT Interchange are just one minute’s walk away. 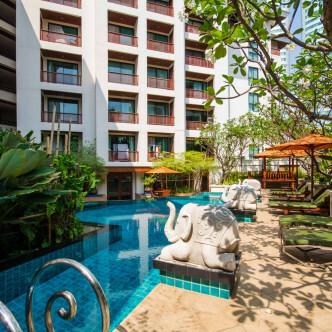 This makes the whole of Bangkok very accessible, while there are lots of other great amenities located in this neighbourhood such as Terminal 21 shopping centre, Health Land massage centre and Times Square shopping arcade. 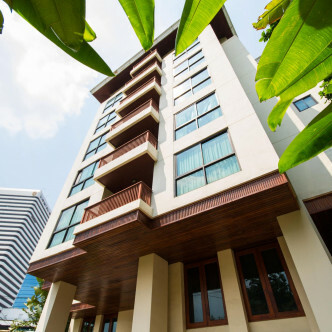 Gardengrove Suites is the ideal option for people who understand the importance of location.